Influenza, commonly called "the flu," is an illness caused by viruses that infect the respiratory tract. Influenza is truly an international disease. It occurs in all countries and affects millions of people every year. Its behavior is unpredictable. It may occur in several forms. It may smolder in a community without clinical recognition, being manifest only by serological surveys. It may occur in pandemics every 10 to 15 years due to major antigenic changes, as occurred in 1957 and 1968.Influenza is a viral infection that affects mainly the nose, throat, bronchi and occasionally, lungs. Infection usually lasts for about a week, and is characterized by sudden onset of high fever, aching muscles, headache and severe malaise, non-productive cough, sore throat and rhinitis. The virus is transmitted easily from person to person via droplets and small particles produced when infected people cough or sneeze. Influenza tends to spread rapidly in seasonal epidemics. Unusually severe worldwide outbreaks (pandemics) have occurred several times in the last 100 years since influenza virus was identified in 1933. By an examination of preserved tissue, the worst influenza pandemic occurred in 1918 when the virus caused between 40 to 100 million deaths with a mortality rate estimated to range from 2% to 20%.As history states there has been several hard cases of influenza The most famous case was the Spanish flu pandemic which occurred between the years 1918 and 1919 and was estimated to have killed more people in total that in World War 1 Other hard cases of flu occurred in 1957 in Asia, and 1968 in Hong-Kong Flu pandemics striked many times in the 20th century. 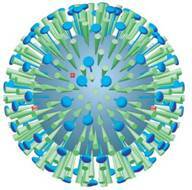 Now days the medications and the treatment is more advanced but it still hard to fight these dynamic viruses. Yoga's stress reducing abilities is one of the primary reasons a regular practice of yoga helps prevent and cure the common cold. Stress is known as a major contributing factor to catching a cold or flu, as stress hormones cause the thymus to shrink in size, causing it to poorly function as a producer of immune cells. Besides the general calming effects of most yoga poses, restorative poses and forward bends are especially calming to the nervous system, helping to reduce whole-body stress. Yoga has been practiced for more than 5,000 years, and currently, close to 11 million Americans is enjoying its health benefits. Yoga can hardly be called a trend. The various practices and poses of yoga are an excellent way to keep the immune system healthy and strong to prevent and quickly recover from the common cold or flu. The series of yoga poses called asana work by safely stretching your muscles. This releases the lactic acid that builds up with muscle use and causes stiffness, tension, pain, and fatigue. Yoga Lion Pose is a great exercise for your face muscles and neck. It also heals sore throat symptom. In Sanskrit, Simha means a lion or power. The posture looks like a roaring lion. Before you begin, wrap your forehead to relieve tension in the head. Take a wide ace bandage (about 4 inches) and wrap it snugly around the head, tucking the free end in. You can also wrap it over the eyes, taking care not to wrap the eyes too tightly. The bandage will comfort your congested sinuses. Standing Forward Bend is the second pose in Sun Salutation. This pose brings energy to the head and respiratory area; helps clear the sinuses. Fish Yoga Pose open the chest and throat which helps relieve upper respiratory congestion as well as benefits the heart. It is the counter pose to shoulder stand. Shoulder Stand Pose stretches the neck muscles. This pose increases the blood supply to the upper part of the body especially head, neck and shoulder. It is a therapeutic for asthma and sinusitis. The Bow Pose is a good exercise to improve posture and strengthen the back muscles. This pose is so called because it looks like an archer's bow, the torso and legs representing the body of the bow, and the arms the string. This exercise strengthens the belly muscles, the legs and the lower back. It is also beneficial to those with kidney, thyroid, prostate and intestine problems. The Boat Pose is a great stress reliever and also improves digestion. Yoga is one of the oldest form physical disciplines in existence. There are numerous types of asana that are performed in Yoga, one of them being Ardha Sarvangasana. It is the Queen of all the asans. Just as the name 'Sarvang' suggests 'all parts', the asan is essentially concerned with all the parts of the body. • Release the hands, and either stretch the arms straight and rest the back of the hands on the knees or join the palms in front of the chest. Keep the back erect and stay I n the pose for about 30 seconds with deep breathing. Sirsasana meaning headstand is considered to be one of the most important yoga poses. Sirsasana is known as "the queen of poses", and the reason relates to the effect it has on the brain and mind. The inversion of this pose causes increased and unrestricted blood flow to the brain. This brings increased oxygen, nutrient and vitality providing energy to the mind, clarity of thought and ease of concentration. • Start by placing yourself opposite to a wall. Sitting on your legs, bend the elbows and place hands on opposite arms. • Lean forward and place the elbows down perpendicular to the floor. • Without moving the elbows open the lower arms into a triangular shape, creating an 80 degrees angle. Keep fingers interlocked. • Place the crown of the back on the floor supported by the hands. Keep the hands on the back of the head. • Straighten the knees and walk towards the body, raising the upper body. • Lift the legs up balancing the legs on a wall to start with until you can balance your body up without falling onto your back. Bring feet away from the wall keeping the knees up straight. Breathing normally, concentrating on the breathing for balance. • Keep the pressure away from the head supporting the body weight mainly with the forearms. Hold this posture for about 3 to 5 minutes to obtain maximum benefit. To come out drop the legs down gradually and rest in the child pose for at least 10 seconds. 'Paryanka' refers to 'bed or cushion'. Though; this exercise resembles suptha veerasana, the benefits and the advantages are relatively high.Paryankasana gives a full stretch to the anterior and antero-internal muscles of the abdomen and the pelvic. The inner thighs as well get a good stretch. • Start with Suptha Veerasana..
• Inhale slowly, raises the back and slowly lifts the neck and chest so that there is a perfect arch. No part of the trunk should be on the floor. • Stretch and fold the arms; at the elbows. Place the folded arms on the floor behind the head. Hold in this posture for minute and breathe slowly. • Exhale slowly, and then slowly place the trunk and neck on the floor and come back to Veerasana position. • Lie on the back. • Keep your spine, navel & pelvic in one line. • Keep arms on the each side of body, palms facing to sky. • Keep neck right or left side. • Close your eyes & slowly try to concentrate each part of the body & try to relax that part. Anulom Vilom Pranayam is also known as Nadi Shodhana Pranayama or alternate nostril breathing. By the practice of this asana the whole nervous system is cleansed and toned. 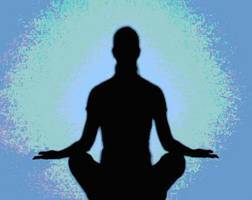 • One should sit comfortably in padmasana or sukhasana, keeping back straight and breathing normally. Form the pranayam posture with right hand. • Close your right nostril with your right thumb and exhale slowly through the left nostril. • Allow your back to come close to the ground and lie supine. • Now inhale, slowly to your maximum capacity and then close left nostril with your ring and little finger and lift the thumb off the right nostril and exhale slowly through the right nostril. • Then again inhale slowly through the right nostril and close it with thumb and lift your ring and little finger from left nostril and exhale slowly. Astrology has never been as popular as it is today. This is because more and more people are realizing the possibilities that Astrology can offer. Astrology can provide you with a deeper insight into your career path, your relationships, your home life, your relationship with money and the world at large. Its scope is broad because it is a symbolic reflection of life itself. According to astrological reports for yoga asanas the above mentioned asanas are said to be effective for those who come under the following zodiac sign.